Ladies, rejoice, for 2015 was a good year for female characters in television. And by good I mean, you know, not as bad as usual. That's not to say that the successes of these actors and writers were small, but more to say that there should never have been a year that women didn't have great success in television. In honor of one small step for womankind and one giant leap for television, I present to you the 2015 report card of women in television. Three cheers for a world in which these characters get mostly A's on a Bustle report card. I finally know what it is to feel hope. I also finally know what it's like to watch television with female characters that I would like to hang out with, or fear them, or feel intense sorrow for them. It's great to have characters that bring out great emotions in the viewer in general, because it means that they're three-dimensional and well-written. For those of you who are unaware, the Bechdel Test is a series of questions that measures the role of women in a piece of media. The criteria are: the media has to have at least two women in it, who talk to each other, about something besides a man. In 2015, many shows passed this test. From shows with female leads to ensemble casts, women were talking about saving the world (Agent Carter) or dog weddings (Broad City), or the goings on in a small town (Parks and Recreation). This is something I can really get behind. I realize that not every show can have a female in the lead role. We're aiming for equality here. But, even though not all shows had female main characters, the ones that came about were the best. From Kimmy Schmidt to Olivia Pope, female protagonists have been different from any we've seen before. Their eccentricities and quirks make them much more interesting characters than women we have seen on television in the past. For example, Kimmy Schmidt's interesting circumstances (being kept in a bunker for a decade) do not make her a dependent and sad person but instead an always positive gal who's trying to make it. This category gets a B in honor of Viola Davis's heart-wrenching speech at the Emmy awards in 2015. Yes, shows like Empire, Scandal, and How to Get Away With Murder showcase strong African American women but, and this is a big but, there should be much more. 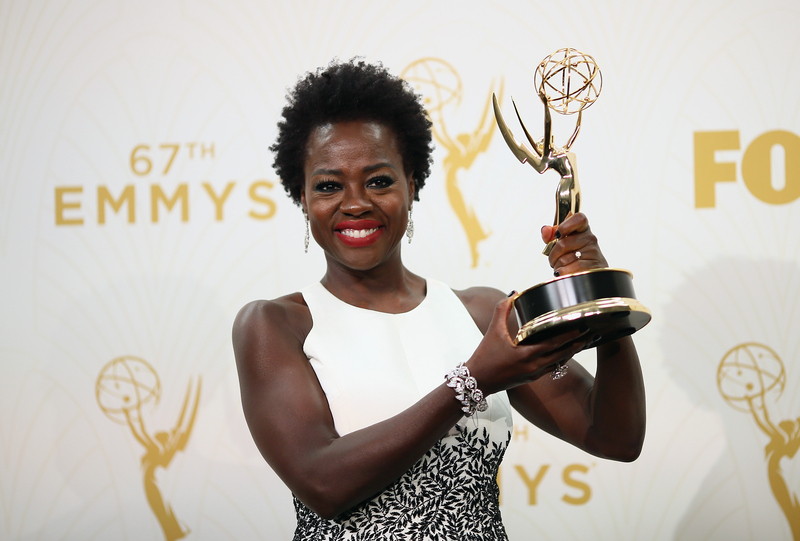 As Viola Davis said on that fateful day, "the only thing separating women of color from anyone else is opportunity." I would also like to see more women representing all different kinds of ethnicities. Although Jessica from Fresh Off The Boat (Constance Wu) is probably the best character on the show, and Jane from Jane The Virgin makes me laugh-cry, my soul longs for more diversity. Even though we somehow still don't have a female late night host (which is why this category only gets an A instead of an A+), women comedians were really killing the game this year. I think, of course, first and foremost of Amy Schumer, whose television show, Inside Amy Schumer, proves once and for all that girls are funny. Take that, boy in my improv class in college! This one brings us back to Viola Davis's speech. Bless you Vi, bless you. Shows with female characters did really well in 2015 at awards shows like the Golden Globes and the Emmys. Women such as Amy Schumer, Julia Louis-Dreyfus, and Mindy Kaling cleaned up. Keep up the good work, Hollywood, and give us a 2016 in which women on television are even bigger and better.